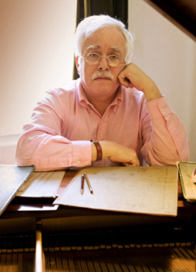 Van Dyke Parks has the kind of résumé that impresses musicheads who devour liner notes: Session keyboardist, arranger, songwriter and producer who worked with the Beach Boys, the Byrds, Tim Buckley, Phil Ochs, U2, Randy Newman, Harry Nilsson, Cher, Rufus Wainwright, Ringo Starr, Frank Black, the Manhattan Transfer, Bonnie Raitt, Fiona Apple, Sheryl Crow, Ry Cooder, Joanna Newsom, the Everly Brothers, Silverchair, Scissor Sisters and Laurie Anderson, among others. Over the years, Parks has also released seven solo albums. But he had never performed in Minneapolis until Tuesday. At the Cedar Cultural Center, Parks came across as a witty, erudite and utterly charming eccentric. He’s the kind of guy who quotes Oscar Wilde, plays a song by a distinguished New Orleans pianist (Louis Moreau Gottschalk) from the 1800s and drops words like impecuniously. Parks, 69, sat down at an electric piano and opened the show by reciting names of people who’d performed at the Cedar including Loudon Wainwright III (his dear friend), Vic Chesnutt ("who could not afford to stay alive"), Fleet Foxes (he’ll be touring with them) and Grizzly Bear (he went to a band member’s wedding at an exclusive place on the Cape). Accompanied by bassist Jim Cooper and well-known L.A. drummer Don Heffington (Lone Justice, Emmylou Harris, Bob Dylan, Dave Alvin), piano man Parks played a delightful 65 minutes of parlour pop. It’s the kind of entertainment you might have heard in a mansion in the first half of the 20th century. His piano playing was as clever as his conversation as he mashed up all kinds of musical styles in one song. Around his Disney-movie rich melodies, he wrapped classical and jazz sophistication, punctuated with Cole Porter-quality wit and playfulness. Parks’ set included "The All Golden," "Cowboy," "FDR in Trinidad," John Hartford’s "Delta Queen Waltz" and "Orange Crate Art," his 1995 collaboration with Brian Wilson. Parks — who grew up in Louisiana, attended college in Pittsburgh and then moved to Los Angeles — explained that his main Minneapolis frame of reference was folk-blues stalwart John Koerner. "I’m amazed by the talent of John Koerner," he said, praising the Minneapolitan’s imaginative song form. "I wanted to hear myself say that." When Parks pointed out that he’d never been to Minneapolis before, a concertgoer shouted that he’d seen Parks open for Randy Newman at the Guthrie Theater in the 1970s. Riposted Parks: "Either I was too high or you were."